My family loves food. My sister, my mom, and I spend most of every day (weekdays anyways, while they are at work at their computers) emailing each other about food. What we had for lunch, what we wish we were eating right then, what we are going to have for dinner. Yesterday Dana (my sister) had two lunches, one was chicken parm (which I love) and the other was Thai-style turkey meatballs with a coconut-curry sauce. Sounded good to me. We didn't have any coconut milk or curry paste, but the meatballs sounded good. Alex brought home some cilantro and ground turkey, and I set to work while he went out to do things. 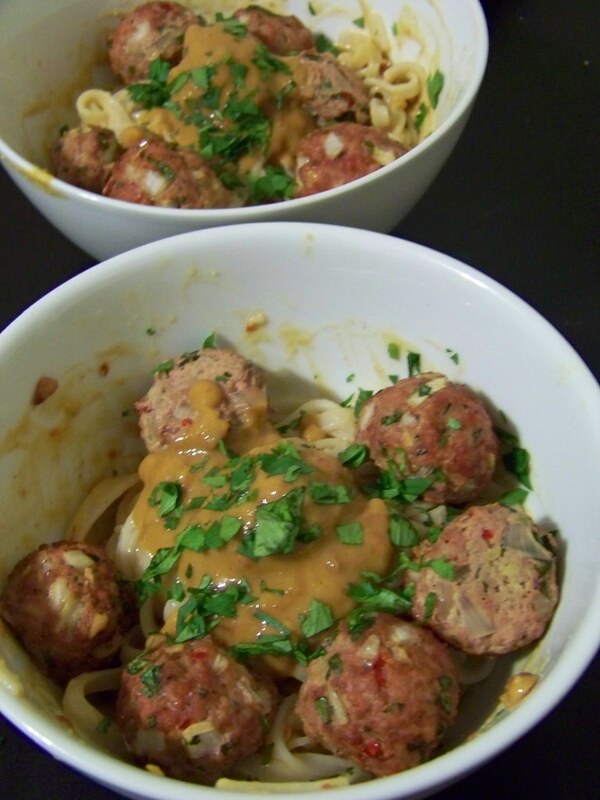 I decided to pair the meatballs with rice noodles in spicy peanut sauce, because I love both rice noodles and peanut sauce. Oh, and spicy things. You can leave out the chicken broth and use water or vegetable stock, and skip the fish sauce to make the peanut sauce vegan. Since Dana never gives me exact quantities of what she puts in her recipes, (we're not really that kind of family, we all mostly cook by eyeballing things) this is my take based on her list of ingredients. Mix everything together, form into small balls and bake in a 375 degree oven for about a half an hour. 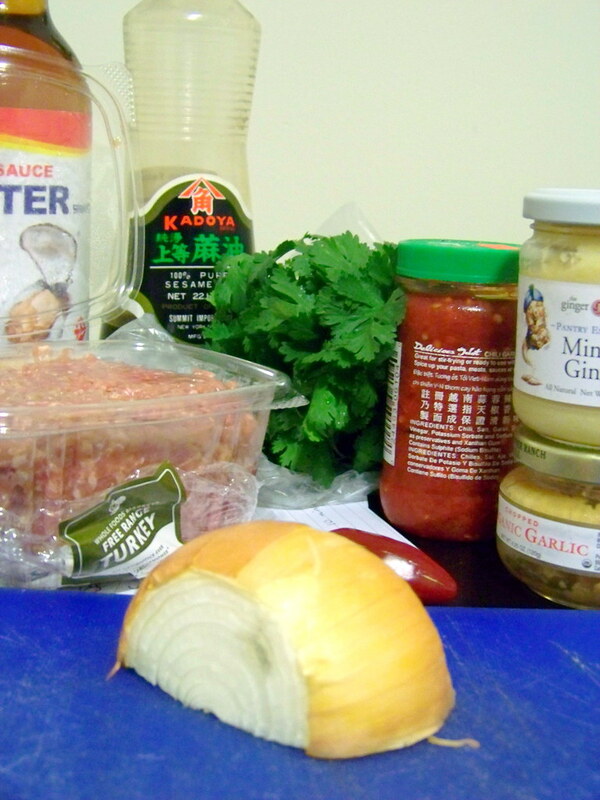 This sauce would also be delicious served with spring/summer rolls or as a dip for vegetables. Mix everything together, taste and adjust if sauce needs more peanut butter or chicken broth. Cook about 5 minutes in a small saucepan until slightly thickened, and set aside to cool. Cook your rice noodles - bring a pot of water to boil, pour over your noodles in a bowl, let stand for about 5 minutes until softened enough. Rinse in cold water, toss in 1 T sesame oil, and mix with peanut sauce. 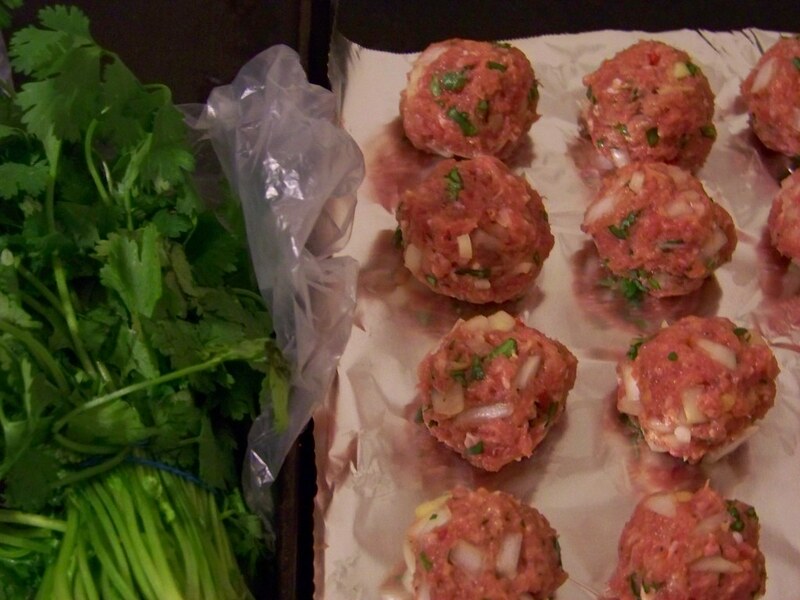 Serve warm or at room temp with meatballs, or with chicken or shrimp or tofu. Serve immediately, or wait to mix noodles with the sauce, because it makes the noodles kind of clumpy. 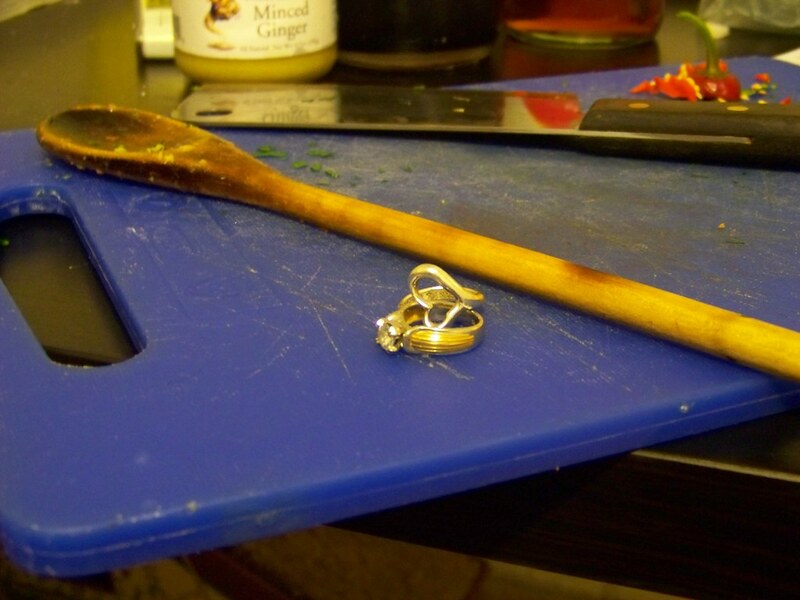 Oh, and don't forget to take your rings off when you mush all the turkey meatloaf ingredients together. My mom told me a story about my grandmother, who wore gigantic jewelry, making meatloaf and then wondering why her hands stunk. She had gotten meat inside her ring, and it had rotted. 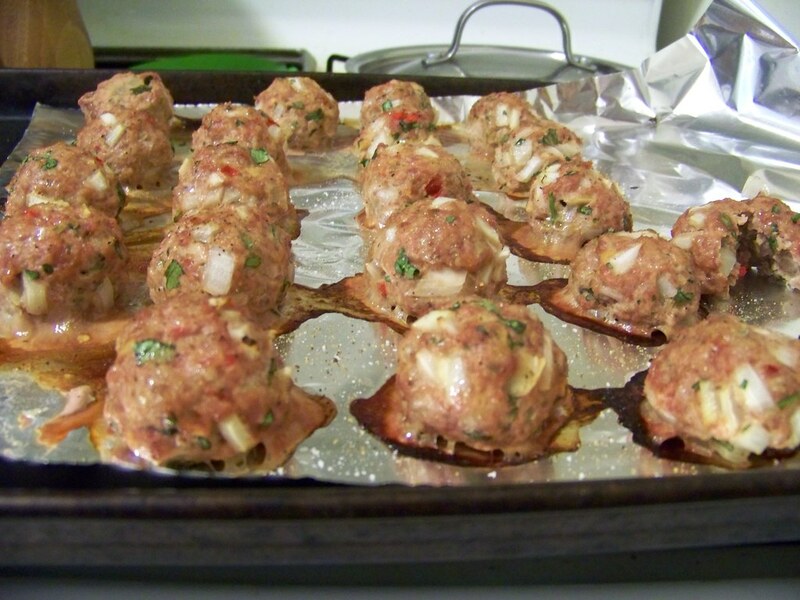 The meatballs look pretty good. I may have to give them a try.